by Megzus • on Life, Nature • March 8th• has no comments yet! In 2004 there was a determination that over fifteen thousand species of plants and animals on the planet were facing extinction. The reasons for this are varied, but the primary factor has become humanity’s reckless destruction of their local habitats and the global eco sphere. There are many well known animals on the list to go extinct as early as the year 2010.. The african elephant is a well known creature to people around the world. Despite the ban on hunting them in many countries, ivory poaching still exists and their numbers dwindle rapidly. The four known varieties of asian elephant: Indian, Ceylon, Sumatran, and Malaysian, have lost half their population in the last few generations. Several species of whale are doing far worse than even the elephant. The right whale has no more than two hundred and fifty fully adult members of its species left alive. At least twenty percent of their population continues to die off with every generation. The blue whale, largest animal species to ever live on the earth, has continued to loose half it’s population over the last few generations. A smaller whale species, topping out at a mere eighty feet in length compared to the eighty two feet length of the blue whale, is the fin whale. This gentle sea creature has faced a drop in population similar to its cousin species. One creature that no one would mistake is the gorilla. This sociable and gentle creature can weigh up to six hundred pounds and stand erect at over six feet in height. Sadly, due to the destruction of its habitat it has lost over half its population in only the last three generation. As far as the great predator species go, there are several that people easily recognize facing extinction in only another generation or two. The cheetah and the Florida cougar. The cheetah is on the endangered species list, but there is one breed most people do not know of. The species of cheetah known as the asiatic has reached a critical population point and without extreme measures to aid its survival it will go extinct shortly. There are only fifty known members of this species left in the world. They live in Iran. The Florida cougar, also known as the Florida puma or Florida panther, has an estimated mature population of fifty adult individuals. efforts to Recover the population are now in place to retain the current current number of native panthers in the area. 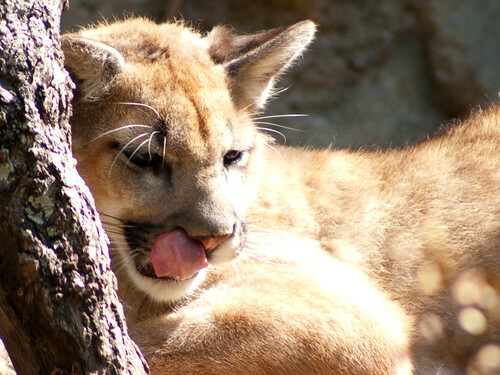 Even with great funding, this is a hard agenda, as the cougar needs contiguous locations for habitat. Every breeding family, forming one male and two to five females, needs 200 square miles of living habitat. A group of 240 panthers needs 8,000 to 12,000 square miles of habitat and sufficient diversity to avoid inbreeding due to a small population size. Many areas of Southern Florida are quick developing, and decreasing habitat threatens this animal. Without immediate action these well known species will die, and be lost forever in our own lifetime. Author Resource: Nathan Martyn is webmaster of http://www.animal-wallpaper.org/ Animal Wallpaper, created with the aim of providing the highest quality free animal desktop wallpapers.